IMPORTANT! PLEASE READ THIS PRIVACY STATEMENT CAREFULLY BEFORE USING THIS SITE. Thank you for visiting atl.com. Hartsfield-Jackson Atlanta International Airport (ATL) strives to provide online resources in a safe, secure manner that respects your privacy when you visit our sites. This privacy statement addresses the collection, use, disclosure and security of information that may be obtained by the City of Atlanta. In using the ATL website, you agree to do so in accordance with the privacy policies of this statement. We collect no personal information about you when you visit the ATL website unless you choose to provide this information to us. However, some information is collected and stored automatically. This information is collected for statistical analysis using third-party or proprietary software programs to create summary statistics. The statistics are used for the purpose of determining what information is of most and least interest to all visitors and identifying system performance or problem areas in order to better plan future portal enhancements. This information is not collected for commercial marketing purposes. Other information volunteered such as vendor profile/contact information, survey information or content of email. Depending on the specific service or transaction, the City of Atlanta may share personally identifiable information among its agencies in order to provide such service or complete such transaction. You may choose or opt to voluntarily provide certain personally identifiable information in order to customize your visits to atl.com. To personalize your experience, you may be required to register and create an online profile. Information required during the registration process will include a user name (which need not be your legal name), a password and a valid email address. The combined information may constitute personally identifiable information. You may review, delete or modify such profile at any time. If you simply wish to view pages on atl.com, or conduct most transactions, you are not required to use the personalization features. We will not disclose any personally identifiable information collected to entities outside of City of Atlanta departments and agencies except where you have given us permission, or where the information is public information under the Georgia Open Records Act O.C.G.A. 50-18-70 et seq., or other applicable laws. Visitors should be aware that information collected through the portal may be subject to examination and inspection, if such information is a public record, or not otherwise protected from disclosure. The atl.com portal may occasionally use “cookies” to customize your browsing experience. Cookies are simple text files stored by your web browser and they provide a method of distinguishing among visitors to the websites, and allowing customized features such as a “shopping cart” feature for online purchasing. Cookies created on your computer by using our websites do not contain personally identifiable information and do not compromise your privacy or security. You can refuse the cookie or delete the cookie file from your computer at any time by using any one of a number of widely available methods. 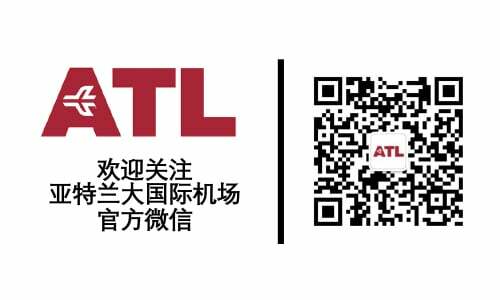 For services requiring online financial transactions, atl.com uses the Secure Sockets Layer (SSL) encryption protocol to safeguard your sensitive personal information, including your credit card number. Information is encrypted from your computer to the portal computer processing your request. In order to further secure your privacy, do not divulge any passwords or sensitive information (e.g. credit card number) to anyone in a phone call or email. When you are finished with those applications that are password protected or required the input of your credit card information, it is always recommended that you close or otherwise exit the browser page. The City of Atlanta and ATL make no claims, promises or guarantees about the accuracy, completeness or adequacy of the contents of this website and expressly disclaim liability for errors and omissions in the contents of this website. No warranty of any kind, implied, expressed or statutory — including but not limited to opinions or statements made by third parties, information provided by individuals other than the website operator — is given with respect to the contents of this website or its hyperlinks to other internet resources. Email is not a secure form of transmission. As such, atl.com does not recommend that you submit sensitive or personally identifiable information via email. If you choose to provide us with personal information in an email, we may use the e-mail and the information contained within it to improve our service to you or to respond to your request. Sometimes, we may forward your e-mail to other City of Atlanta employees who may be better able to help you, and this staff may be employed by a different department within the City. Except for authorized law enforcement investigations or as required by law, we do not share our email with any other organizations outside of the City of Atlanta. Our goal is to provide a private, efficient and friendly digital government experience. If you have comments or questions regarding privacy at atl.com, please contact us at webmaster@atlanta-airport.com.